The past and the future come together in the palm of your hands. New-York Historical Society’s Tech Commons is ready to offer NYC teens a new spot to create, explore, and meet friends and mentors in a state-of-the-art multimedia space. Whether you’re looking to do some research on our tablets, record a podcast or song, 3D print an artifact, design and code a website, or just hang out and explore, the Tech Commons is the place for you. This dynamic new space is loaded with a full array of digital equipment -- from fun to professional -- to help tomorrow’s leaders explore their imaginations and curiosities. Teens, ages 13 to 19, will be able to use our space for free during our Drop-In Hours, every Thursday and Friday from 3pm to 6pm, Saturdays from 10am to 6pm, and Sundays from 10am to 5pm. * Students can explore the many galleries of the museum, meet with mentors, work in creative projects with friends or independently, experiment with our digital resources and learn new tech skills. Please complete a one-time registration for Drop-In Hours here. *Unless the space is closed for another event or program. See calendar below. Our popular Tech Scholars program has moved into the Tech Commons! Tech Scholars is a multi-session workshop for high school girls that explores women’s history through web development, enhancing student knowledge of HTML and CSS. Check out the Tech Scholars’ projects here and here! The Tech Commons will be the new hub for all of our teen programs, including Student Historians, Teen Leaders and Scholars programs. Keep an eye out for even more opportunities to learn about the digital humanities on our Teen Programs homepage! 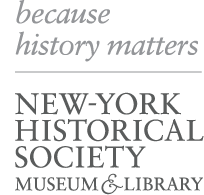 Send us an email at hs.internships@nyhistory.org or call us at 212-873-3400 Ext. 356! The Tech Commons @ New-York Historical was established with lead support from The Thompson Family Foundation. Generous support provided by The Robert K. Steel Family, Manhattan Borough President Gale A. Brewer, New York City Council Member Helen Rosenthal, and Susan Waterfall.